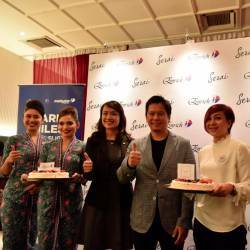 08 Dec 2018 / 17:15 H.
SEPANG: AirAsia reaffirms its commitment as the people’s airline on its 17th year by offering a special anniversary promotion to bring people around the region closer together. 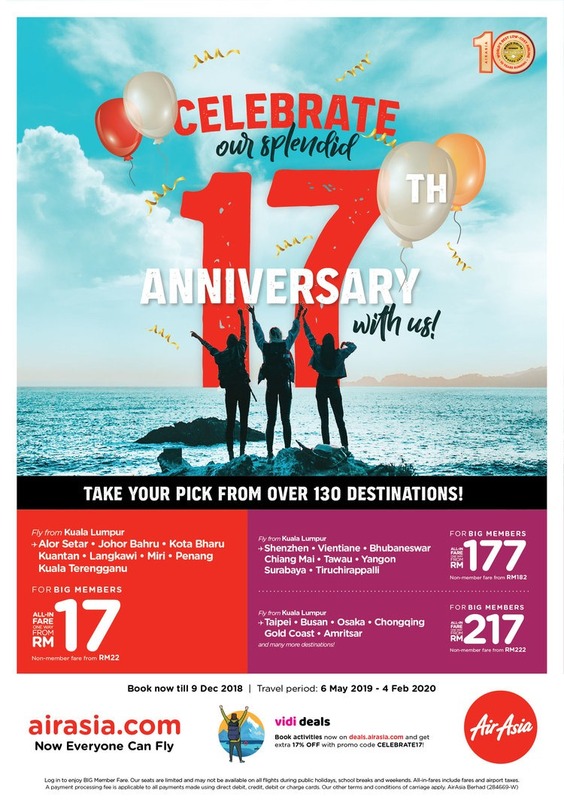 To celebrate the milestone, AirAsia is offering promotional fares from only RM17* one way from Kuala Lumpur to Alor Setar, Johor Bahru, Kota Bharu, Kuantan, Langkawi, Miri, Penang, Kuala Terengganu and more. 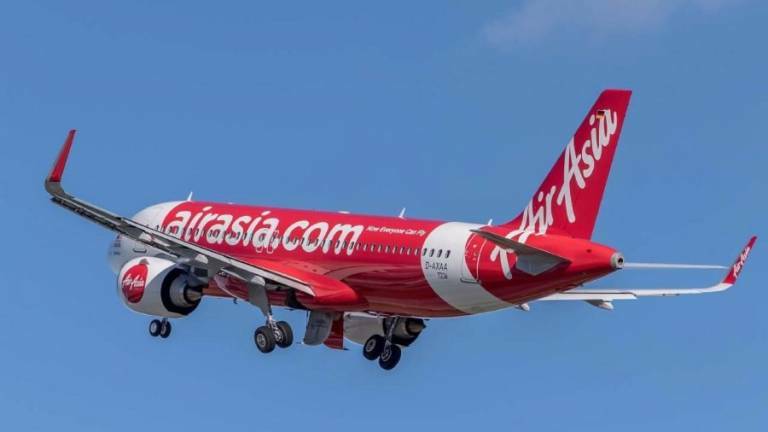 This special fare is available on airasia.com and the AirAsia mobile app from now until Dec 9, 2018, for travel between 6 May 2019 to 4 February 2020.